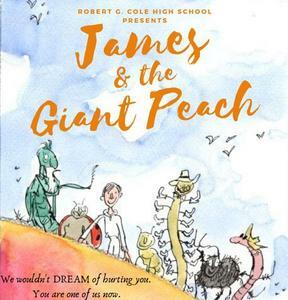 Robert G. Cole Theatre presents "James and the Giant Peach." 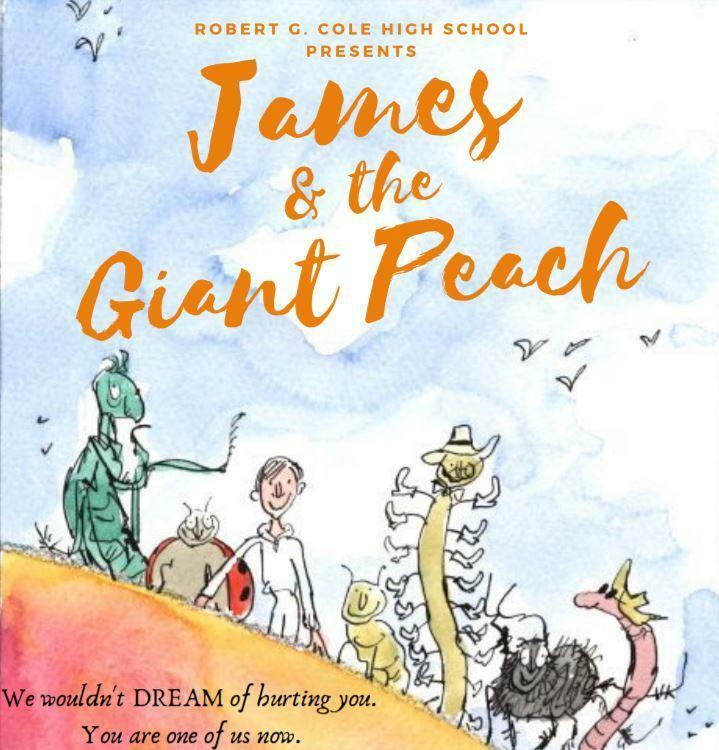 Robert G. Cole High School Theatre is proud to present “James and the Giant Peach”. 12/13 through 12/15. Click for more information! Robert G. Cole High School Theatre is proud to present “James and the Giant Peach”. We would like to formally invite everyone and their families for a “Peachy” good time. Our students have been working incredibly hard to get our production underway! Ticket sales will begin December 3rd, before and after school. If you would like to purchase any tickets, please send me an email with your name, which date you would like to attend (dates are listed below), and how many. I’d be more than happy to swing by your classroom and drop off the tickets. Again, our actors and crew are thrilled, and we would love to see you there! This show is exclusively for students and will be held during 6th period. Currently the student tickets are not on sale just yet and an announcement will be made when the time gets closer. An email will be sent with further details about this performance. This production will consist of dinner and a show. Chicken w/ lemon mushroom sauce, oven roasted potatoes, salad, fresh green beans, Peach Cobbler, & Peach tea. Doors open @ 6:30pm, Show Starts @ 7:00pm This production is a performance only.